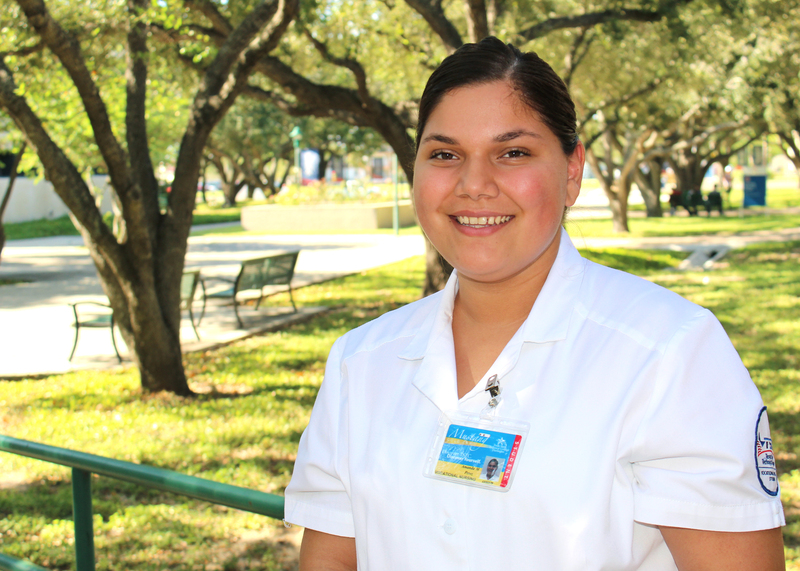 (HARLINGEN) – Amanda Perez is a Vocational Nursing student at Texas State Technical College. The Los Fresnos native holds a 3.1 grade-point average and expects to graduate with her certificate in Summer 2019. The 21-year-old is an active member of the Vocational Nursing Club, where she serves as parliamentarian. She also works as a nursing assistant at a Brownsville nursing home. After I graduate I plan on working for one year to gain experience and then return to TSTC to pursue an associate degree in registered nursing. My dream job is to become a pediatric nurse. The children are our future, and I want to help keep them healthy or nurse them back to health when they’re sick. I feel like I can make a positive impact in this area. What has been your greatest accomplishment while at TSTC? My greatest accomplishment at TSTC was graduating with my certificate from the nursing assistant program and gaining employment immediately. TSTC, in a nutshell, has given me the opportunity of continual growth. What greatest lesson have you learned about yourself or life? The greatest lesson I have learned about myself is that I can achieve anything I set my mind to. I’ve learned to have more faith in myself and my skills. The nursing assistant and the vocational nursing programs have really helped me discover and unlock my potential. Who at TSTC has had the greatest influence on your success? 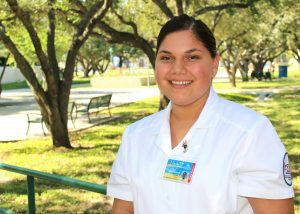 My nursing assistant and vocational nursing instructor, Emily Gonzalez, has had the most influence on my success. She has always encouraged me to keep going when life gets too hard and has motivated me to get involved with our program clubs and get out of my comfort zone. What is your advice for future TSTC students? Study, study and study. Learn as much as you can; TSTC gives you that opportunity. Also, don’t be afraid to ask questions; that’s the only way to learn new things.